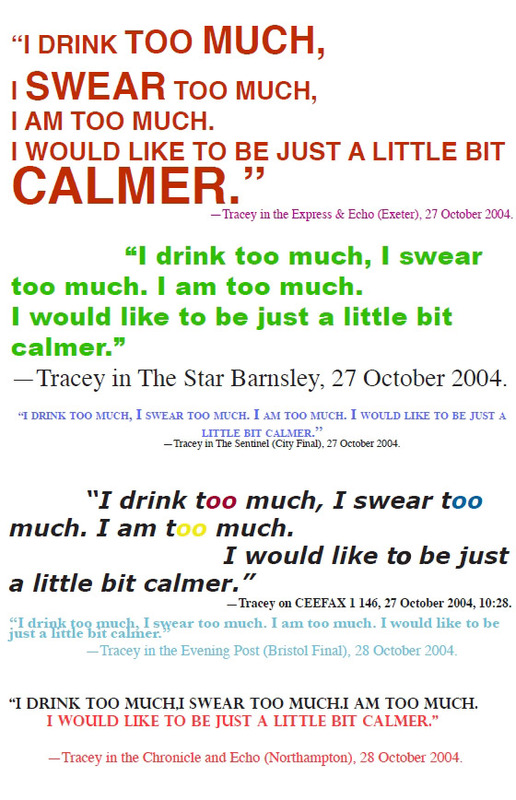 Shocked Beyond belief by her media coverage, here’s just the very fine tip of the iceberg of the UK’s addiction to Tracey. 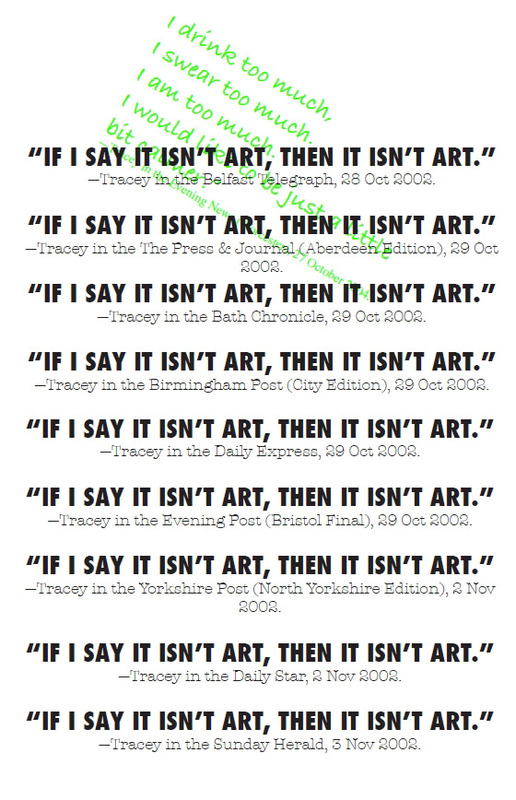 Check out the impact just nine quotes attributed to an artist, just 228 words, can have, which of course is less than half the words on some press releases. 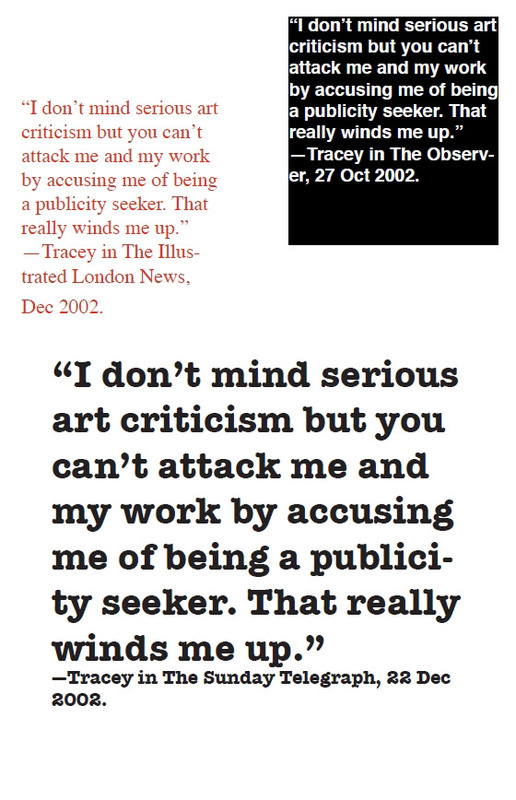 These nine quotes with 69 media outlet placements, multiplied by the readership, spotlight just one micro-sample of Tracey Emin’s media power. 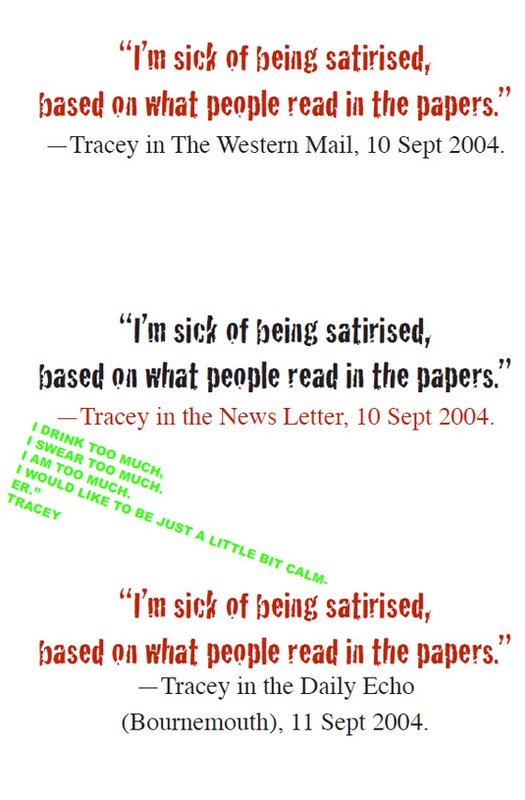 How many millions of readers saw these little media interventions? 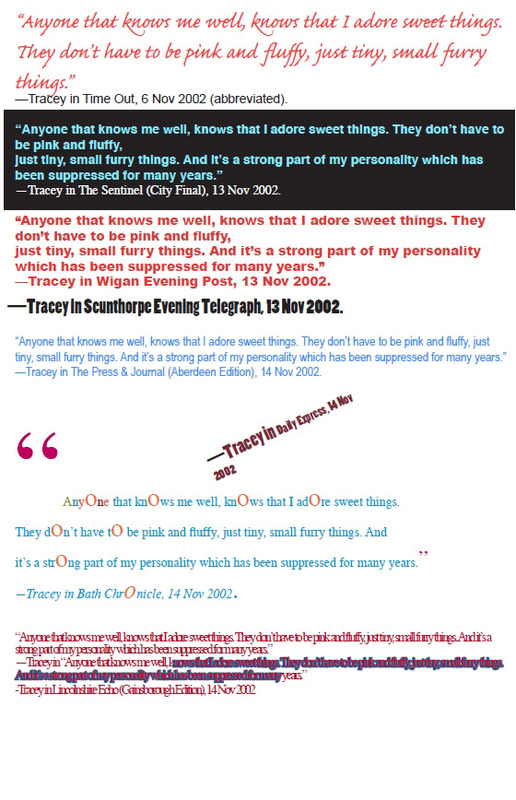 For now however, we offer you a little window into media coverage, Tracey Emin & Co.-style, via an estimated 69/25000 or 0.28% to date. 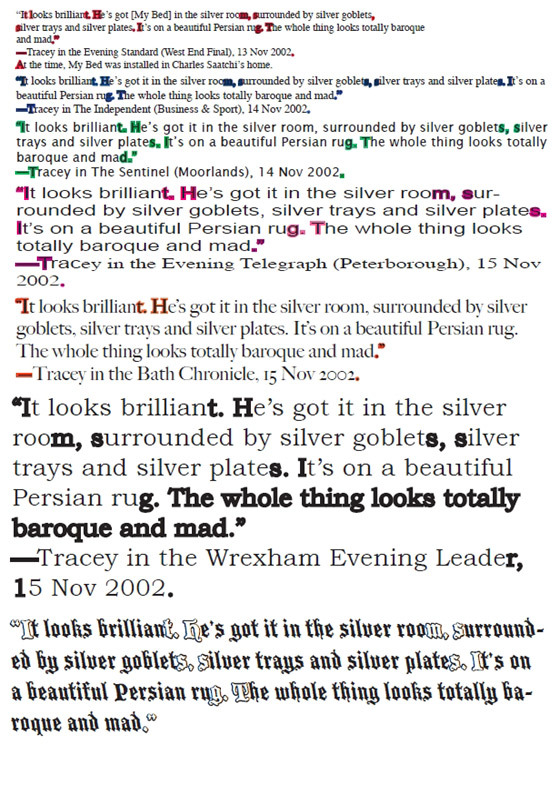 What you see below is actually far less of a percentage when taking into account the column inches of the diversified publicity outputs. Click the following music clip to get the full, intended effect.